Cleeks01485 534267work Self-cateringOverlooking the golf course of Old Hunstanton, with views across the sand dunes to the sea, this modern, detached house enjoys a superb position tucked away at the back of the village in a select, private cul-de-sac. The private fully enclosed garden has the benefit of afternoon sunshine, with a patio area. At the front is an enclosed driveway offering ample car/boat parking space. 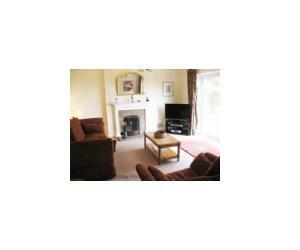 Furnished to a very high standard throughout, the spacious accommodation is very suitable for a family holiday. Fully carpeted and having gas central heating, the house comprises: entrance into hallway with staircase to first floor; new cloakroom in 2011 with washbasin and wc; children's playroom with TV. Dining room. Lounge facing the golf course, open fireplace; doors opening onto patio and garden. New for 2012 fully fitted kitchen/breakfast room with gas hob and extractor; utility room. Overlooking the golf course of Old Hunstanton, with views across the sand dunes to the sea, this modern, detached house enjoys a superb position tucked away at the back of the village in a select, private cul-de-sac. The private fully enclosed garden has the benefit of afternoon sunshine, with a patio area. At the front is an enclosed driveway offering ample car/boat parking space. From A149 turn left down to beach in village, turn right at Le Strange Arms hotel, turn left into Ashdale.